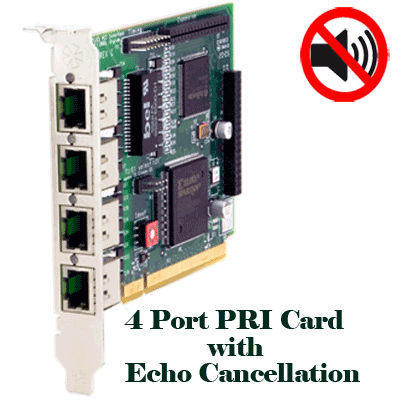 Quad span digital cards are available in PCI and PCI-Express form factor. All quad span models be combined with Digium's VPMOCT128 echo cancellation module to provide echo cancellation across all channels. Digium cards are compatible with all versions of Asterisk using the DAHDi driver framework.